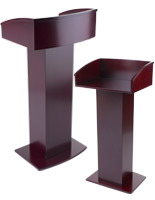 This folding desk podium is the perfect accessory to take to any meeting, classroom or tradeshow. 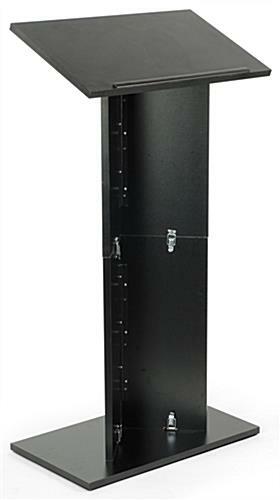 Each portable lectern is built with ultra portability in mind. 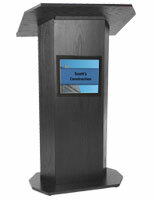 This folding podium can be carried or shipped wherever it is needed due to its light weight and easy to assemble design. 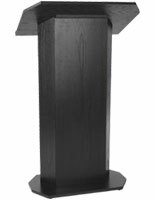 This portable lectern fits easily into the included 30"l x 20"w x 8"d carry bag for storage and transport to offsite events. 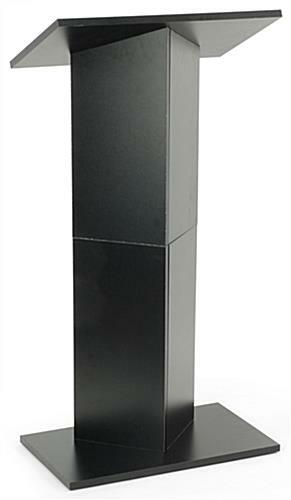 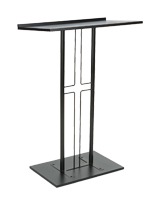 This stylish black pop up reading stand or full-size portable lectern has a modern modular design, weighing only 31 lbs. 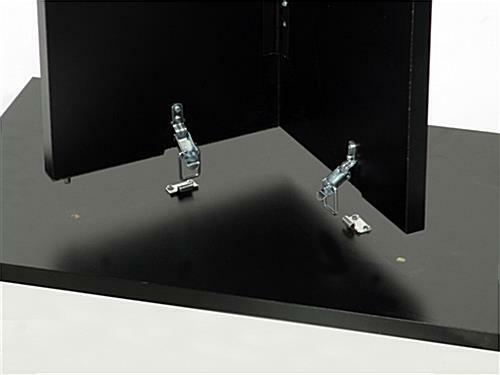 To set up, just line up the dowels with corresponding holes and secure the clasps. 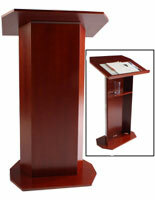 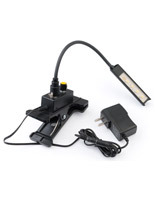 The portable lectern has a lipped top to help hold handouts, books, tablets or other reading materials in place. 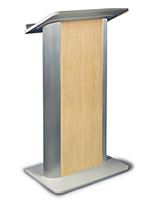 This style lightweight portable lectern, such as this folding floor podium, makes a great presentation stand or a lecture podium in conference, trade show, function or office environments. 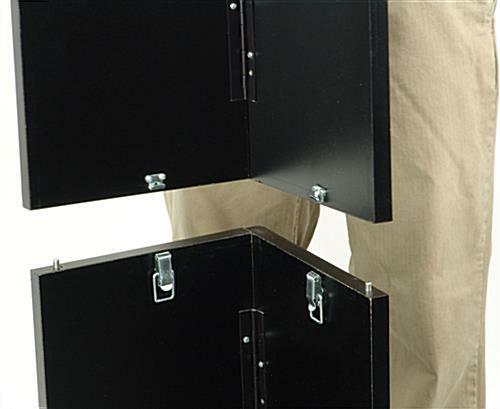 20.0" x 46.8" x 20.0"
20.0" x 6.0" x 14.0"